BROUGHT TO YOU BY LUMBERJACK ENTERPRISES of Stillwater, MN! 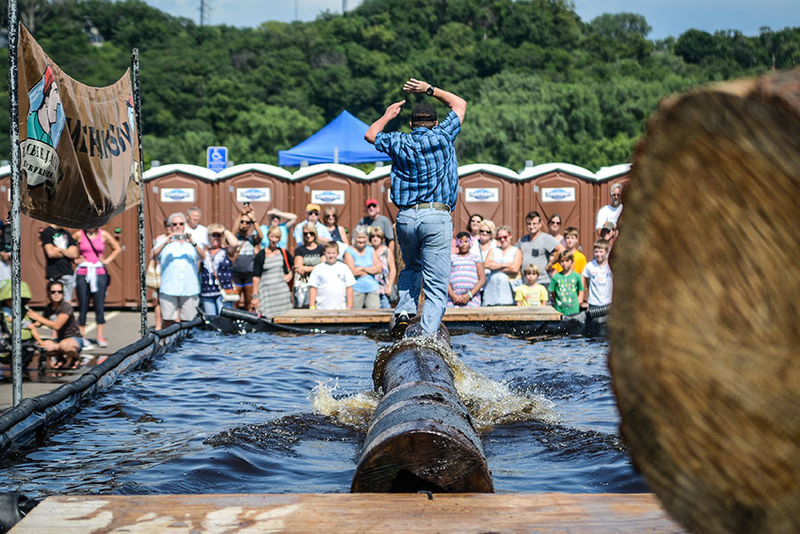 Lumberjack Enterprises produces high quality family entertainment for fairs, festivals, schools, and corporations throughout the entire United States. Jamie Fischer is the grandson of Harold Fischer, the famous lumberjack who performed at the very first Lumberjack Days in 1934 and for many years after. These guys do a fantastic job! Shows are typically 30 minutes in length. This keeps the crowds coming back time and again. If you’re looking for family friendly entertainment, don’t miss them! 2019 Schedule Coming Soon!